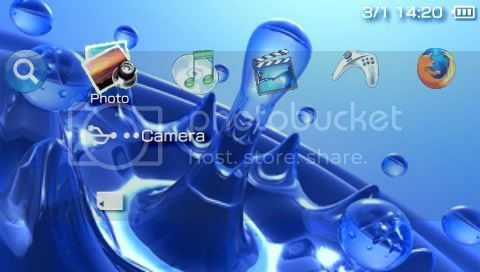 Change your PSP XMB Icons! (1.5+) TUTORIAL INCLUDED! Change your PSP XMB icons on ANY FIRMWARE (1.5+3.02 OE), to anything you want! Follow tutorial and download the files to use. Really easy. Works great, follow tutorial and its all good. Sample frame ready to use included! Extract the Icon maker file and you should have another two RAR archives. OK first lets make your Icons! [*]64x64 pixels[*]8 bit color or 256 colors (same thing)[*]BMP Format[*]Transparency is defined by "first color in palette order"
NOTE:The PSP only shows about 60x64 out of the icon. You still need to have 64x64. So leave about 4 pxls of border otherwise it will get cut off. [*]Copy your newly created icons to wherever you extracted your xmb icon maker package. [*]Once you do that all you have to do is double-click the start.bat program and a command console should pop up. Let it do its thing and once is says konecu scriptu... just hit any button to close the window. You should have a newly created topmenu_plugin.rco in the same folders as the bmps just waiting to be flashed. It should already be in english, if not, press select then O then X to make it english. Once this has been done just HOME and view your xmb! You should also add in that X-Flash can be used for a complete firmware dump, just in case someone manages to really screw it up. You should have loads of different colors like p0Wer's dg tutorial. I'm still stuck on making the icons ? How do we do the transparent part using photoshop ? just make the background of them black.. Try to make the black lines you want to keep in a dark dark gray. That may help. i have been having the same issue. even when i change the palette to have fuscia as the first color, it defaults back to black and my Ergo Proxy icons are now pink, clear and GAY!!!! !